Who said you can’t go home again? 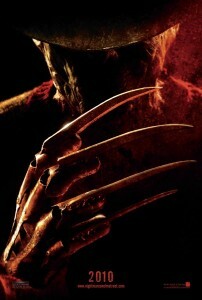 Freddy Krueger proved them wrong, returning to Elm Street 26 years later to slash in $32M in the film’s opening weekend. Despite tepid reviews, fans proved that for 97 minute, they were willing to hop into a time machine, one where a striped red sweater can strike fear into your heart. Without the support of original nightmare director Wes Craven and the first Freddy movie without Robert Englund playing the title character, the box office success can be considered a mini-triumph. But Freddy should be scared. Next week’s Iron Man 2 opening is sure to cut Krueger down to size. Here’s the box office top five for the weekend of May 1 and 2.